Today, May 22, 2017, marks the third year of the Council of European Canadians. 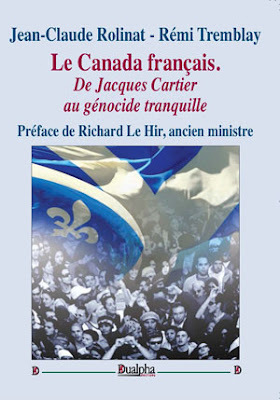 We are the premier online publication committed to the enhancement of the Anglo-Quebecois and European character of Canada. Our number of visitors to CEC has increased steadily reaching a few thousand each day. However, we do need your SUPPORT. For the last three years, CEC has been maintained by very few individuals for free. Maintaining this blog is very time-consuming. We have also spent a lot of time trying to build a network of Canadians interested in our goals, a movement with chapters across the nation, where people can meet face to face. We are grateful for the many who have written to us offering help, and for the dozens who have come to some of our meetings. You cannot have a true media presence and a political movement without funding. Leftists donate to their causes by the millions. But for some reason, many on our side are very hesitant to make sacrifices. We understand that it is risky for some to go out in the open defending the ethnic interests of Eurocanadians, but the least you can do is make a donation to the movement. What we have received in the last three years is very minimal, and it is all saved, but we need funding to do a better job and expand our influence. The number of immigrants colonizing Canada has been increasing steadily in the last few years. In 2012, our government admitted 257,905 colonizers. In 2013, it welcomed 259,024. In 2014, our elites welcomed 260,411. In 2015, this figure increased to 271,660. In 2016, it increased again to 300,000, with the full blessings of the Trudeau government. And in 2017 as many as 320,000 new immigrants are set to impose themselves over our nation. The objective of the elites ruling over us, the lying press, the empty suit politicians, the money grubbing business owners, and the incredibly lazy academics who live off White working class taxes, is to reach 450,000 immigrants per year very soon in order to make Canada a nation ruled by Muslims, Africans, and Asians with a marginalized, cowered, ostracised, and harassed minority of Whites at the bottom. To fight against this horrifying state of affairs, we need a true alternative movement in Canada that speaks openly about the ethnic identity and interests of Eurocanadians. Each of us can do a lot. Simply passing the message, converting a friend here and there, a family relative, about what is going on, makes a difference. That is how Christianity took over. Word by word, individual by individual. The more we are the more will be attracted to us. That's how human psychology works, people need to know that a growing number of Canadians are in agreement with our views, in order to feel comfortable that the movement is acceptable and right. It also makes a big difference for you to donate a bit so we can go on as the true defenders of Eurocanadians! Send us your suggestions about article topics, and about creating a network, and ways of helping. Thanks for your Help! We shall prevail and grow in the coming years to become a movement across Canada that is no longer in fear of the incredibly immoral elites threatening us with their worthless labels. We will demand and get the same collective right all non-Whites enjoy under our system of multiculturalism to speak in terms of their ethnic interests.